vulnerable to becoming inflamed. The ulnar nerve could become sore whenever your elbow takes a hard knock or is hit, resulting in numbness, pain or a tingling sensation in the forearm and hand. Reduced flow of blood, unwarranted stretching or pressure on the ulnar nerve could trigger symptoms of cubital tunnel syndrome. As signs and symptoms of CTS are somewhat similar to ‘carpal tunnel syndrome’ that affects the wrist and fingers, make sure you contact your healthcare provider for a correct diagnosis. Cubital tunnel syndrome entails a condition where undue pressure on the ulnar nerve makes it inflamed or swollen. The usual indications of CTS are tingling, numbness or pain in the small and ring fingers, aching forearm, enervation in the wrist, and hand. The ulnar nerve remains exposed for the better part of its length as it is only cushioned by the ulna bone and not buffered by any extensive muscle. It is because of this vulnerability that the nerve remains susceptible to inflammation whenever pressure is exerted on the elbow. The nerve is also prone to getting swollen when the elbow stays in a bent or curved position for an extended period. Sometimes, the fascia around the nerve could create pressure on it as well. Pressure impingent on the medial, lateral, and ventral epicondyle of the humerus bone in the upper arm is chiefly behind cubital tunnel syndrome. The cubital tunnel, through which the ulnar nerve transmits, is positioned in the furrow or rut in between the two terminus points of the humerus. You’ll feel a tingling or numbing sensation even when moderate pressure is applied in the area surrounding the furrow as the nerve tends to get squeezed or compressed. Persistent compression of the elbow joint could trigger CTS. Keeping the elbow bowed for a long time could also pressurize the cubital tunnel which in turn pressurizes the nerve, thereby leading to its soreness. This is a situation many individuals face when they relax or sleep in a specific position for several hours. The anatomical structure of the upper limb in many people is such that it causes the nerve to glide over the bone bump in the elbow whenever it is straightened or bent. 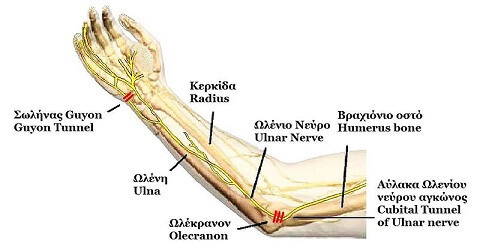 The repetitive, rhythmic motions, after a certain time period causes the ulnar nerve and the soft connective enveloping it to become tender and sore. 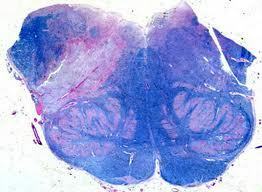 The worst possible case scenario is that the nerve gets damaged and dysfunctional. If cubital tunnel syndrome is left untreated for a long duration, there is every possibility of the symptoms aggravating or worsening. You’ll not be able to carry out simple, routine everyday tasks like lifting objects, squeezing lemons or kneading flour as your fingers and hand become debilitated. You could also find it difficult to straighten, lift or bend your forearm or upper arm. NSAIDS are usually the first line of treatment to deal with the nerve pain, numbness and swelling. You can buy NSAIDS as over-the-counter medications and will not need your doctor’s prescription for the same. However to be on the safe side, it is better to consult him for the suitable kind of medication and the dosage as well. Nevertheless, the dosage and instructions for taking the medication are usually mentioned on the label. Beware of the side effects of taking the medication. Steroids-Steroids for cubital tunnel syndrome are usually available in the form of injections. Injectable steroids aid in relieving swelling and pain.